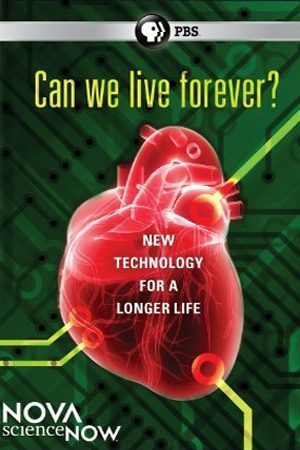 NOVA: Can We Live Forever? Can We Live Forever? Technology has made this question less rhetorical nonsense and more practical planning. Surgery, drugs, and the study of DNA have all contributed to a human species living into our 80’s, 90’s, and even 100’s. How far can we go? NOVA explores. By studying our cars, American scientists are discovering how to replace body parts and keep our engines running smoothly. Radical ideas of a Cambridge biomedical gerontologist called Aubrey de Grey who believes that, within the next 20-30 years, we could extend life indefinitely by addressing seven major factors in the aging process. NOVA is a full length documentary on contemporary art and the artists behind it. In Brazil, the Nova Contemporary Culture, a month long festival to celebrate young innovative artists, brings together 140 of the world’s most talented and brilliant minds in the contemporary art world. Join “Bonk” author Mary Roach as she delves into obscure scientific research, some of it centuries old, to make 10 surprising claims about sexual climax. How do you run 26.2 miles if you have trouble making it around the block? With good coach­ing, discipline, and lots of group support, as we follow 13 generally sedentary people through a training regimen designed to prepare them for an ultimate test of stamina and endurance.